The Craft Trend Fair 2018 will introduce the latest trends in the craft market, giving visitors a chance to rethink the value of crafts in our lives. The annual trend fair, in its 13th year, is hosted by the Ministry of Culture, Sports and Tourism and run by the Korea Craft & Design Foundation. This year’s event will take place from Thursday to Sunday at the Convention and Exhibition Center in southern Seoul. The event, dedicated to the promotion and commercialization of local craft market, invites local and foreign buyers from 10 nations, offering business matching opportunities. According to the organizers, the Craft Trend Fair 2018 will put together works of around 1,600 artisans from eight countries. More than 300 art galleries and craft businesses will also submit pieces from their collections. Visitors can also get a preview of the Korean Pavilion of the upcoming Milano Design Week, which will be held in April. Art director Jung Ku-ho is to participate in the global design festival, showing his reinterpretation of traditional craft pieces with ink-and-wash painting technique. A sampler of the exhibition will be on display at the fair. Various programs have been prepared as well, hoping to boost the local craft market. Through the Artist Discovery program, artists will have an opportunity to host a special exhibition at the participating art galleries. On Friday, the International Craft Forum will be held at the same venue, discussing examples of how cities around the world have developed through crafts. 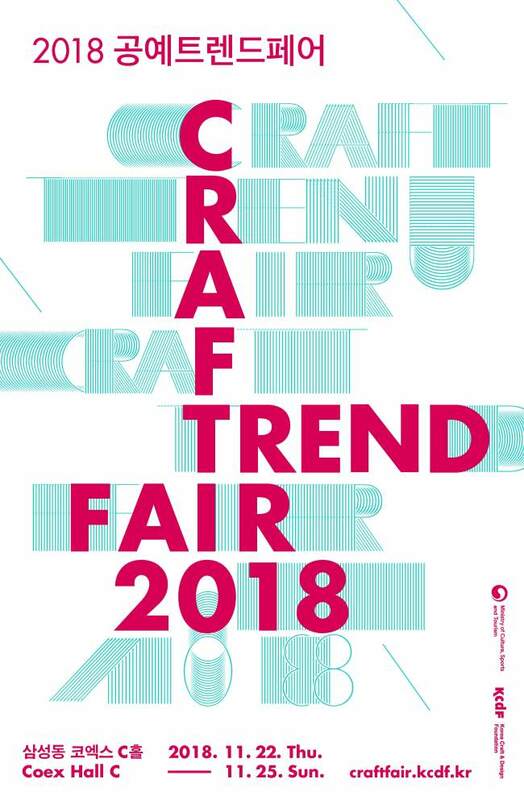 For more information, check the Craft Trend Fair 2018’s official website at www.craftfair.kcdf.kr.